Buffalo wings are ubiquitous on Super Bowl Sundays and at any other parties. 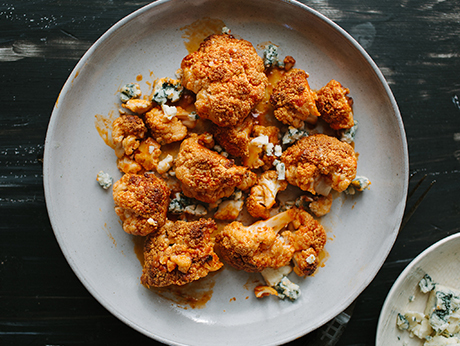 But hosts can achieve the same great taste by tossing cauliflower or other favorite veggies in Buffalo sauce, then roasting them in the oven. In contrast to Buffalo wings, these veggies with a twist will keep guests guilt-free as they go back for seconds. It seems like a party planning no-brainer to serve chips and dip, along with French fries and other greasy, salty, finger foods. 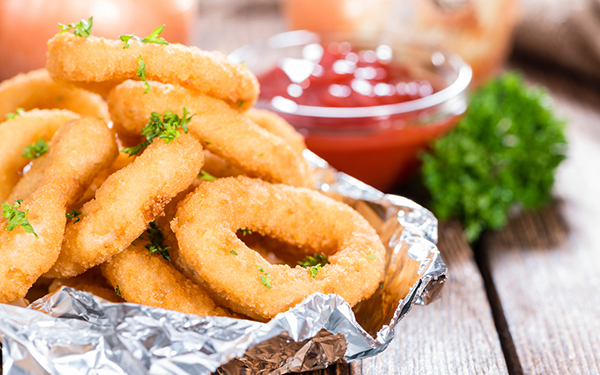 You can achieve the same can’t-get-enough effect with simple recipes for baked onion rings, eggplant parmesan fries, Portobello mushroom fries, or even crispy avocado fries. These baked alternatives are less greasy and lower in calories, but also crispy, addictive, and perfect for snacking on before the main course. 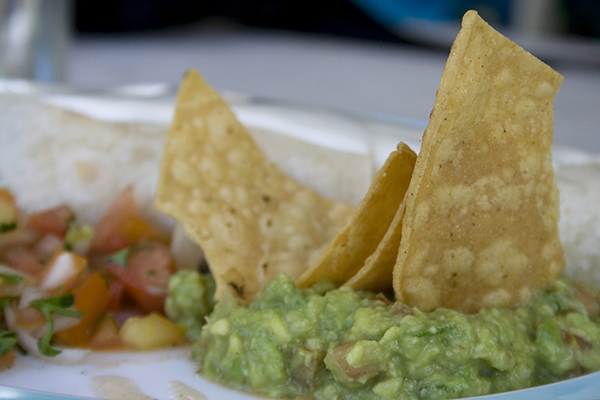 Most of us are used to party-style bean dips, queso dips, and salsas that are high in calories. As you go about party planning, you’ll find that there are a wealth of homemade dips and salsas that will wow your guests without tightening their waistlines. There are tons of options here: sun-dried tomato hummus, fresh pineapple and mango salsa, corn guacamole, chickpea salad, and many, many more. This is where your party planning can really get creative, and you can introduce guests to healthy, novel new tastes. See that? With a little extra thought and creativity, you just might manage to throw the healthiest – and tastiest – party of the year. Tell us your favorite Super Bowl snacks in the comments below! Want to pair your Super Sunday with a bounce house?